Chelsea's search for a striker has come to a conclusion after their not-so-secret deal for Gonzalo Higuain was finalised on Wednesday. Higuain, who spent the first half of the season at AC Milan, moves to Stamford Bridge initially on loan from Juventus, with Chelsea having the option to extend that deal for a fee of €18million next term or pay €36m to sign the player permanently. With wantaway striker Alvaro Morata having struggled for form and Olivier Giroud seemingly out of favour, Maurizio Sarri has turned to a player whose qualities he knows all about from their time together at Napoli. The former Real Madrid star has been one of the most prolific strikers in European football for over a decade so, with the help of Opta, we take a look at his scoring feats. - Since the beginning of the 2006-07 season, Higuain has scored a hefty 224 goals - the sixth most across Europe's top five leagues. - Only Barcelona’s Lionel Messi (20.94 per cent) has a better shot-conversion rate than Higuain's 19.96 per cent of the six strikers to have 200-plus goals in that same period. - Cristiano Ronaldo, Messi and Robert Lewandowski are the only players to have scored 20-plus goals in a season more times than Higuain's five since the start of the 2006-07 campaign. - Higuain is one of just three players, alongside Zlatan Ibrahimovic and Edinson Cavani, to have scored 100-plus goals in more than one of Europe's big five leagues this century. 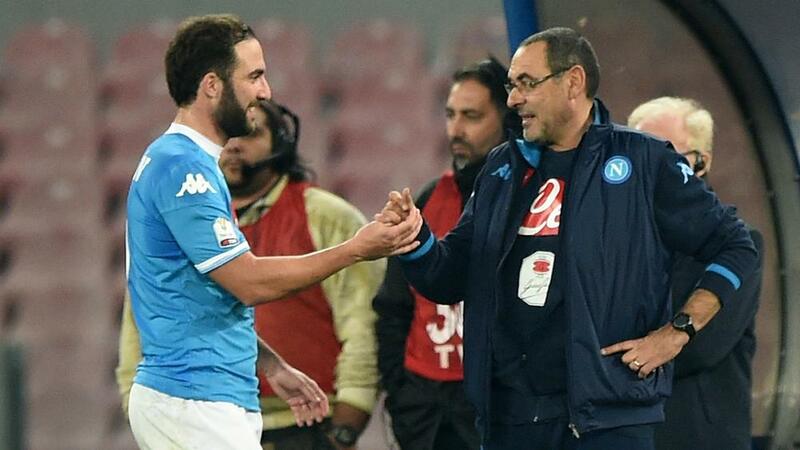 - Under Chelsea boss Maurizio Sarri, Higuain scored 36 league goals for Napoli in the 2015-16 term. That is the most by a player in a single season in Serie A. - That campaign saw him play 29 times with new Chelsea team-mate Jorginho, who provided Higuain with two assists. - Higuain has 34 goals in major European competitions, 22 in the Champions League and 12 in the Europa League.